Wanted to get rid of a pesky dual core i3-7100 for the R5 2600X. Had to throw in a few more dollars for a new motherboard, but it was worth it. Anyways, this isn't my first build. Simply reused parts from my last build for this one. 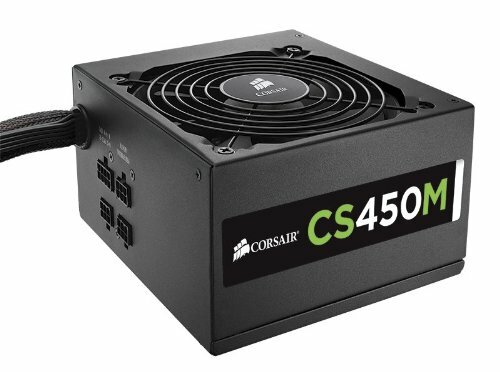 As a 17 year old, it's hard for me to secure a job, so I couldn't do much to my build except getting a few things I've been wanting, like the Carbide 400C, since I was only called in to work for a week. Only had around $450 to play with. Thank you Micro Center for having one in the clearance section for $30. Couldn't be happier with the purchase. I've been wanting to join team red for a good while now since my i3-7100 wasn't exactly up for the things I've been wanting to do, like editing videos in Vegas. By the time I was ready to switch to a Ryzen 5 1600X, Zen 2 was right around the corner. Waited for that, and my God am I happy with this processor. I can finally keep Plays.TV open without making my games stutter. Tried streaming with it and it's performance is just as expected with those 6 cores and 12 threads: Superb. The motherboard I kinda cheaped out on, but can't really blame me. Didn't have much money to work with. Besides, I'm pretty sure I wasn't going to use the features that ships with the new chipset. I do love the aesthetics of this board. The brown PCB on the Z270 I had before this was incredibly boring to look at compared to the color neutral gray this board has. And the RGB is a nice touch. On with the memory. You know, before I built my first computer, lots of people said 8GB was more than enough for gaming. and in some cases, they were right. Maybe the games I was playing were poorly optimized, but my RAM usage would be in the 90s a lot. So I picked up another 8GB kit and now I'm glad I have the headroom to keep a tab of Chrome open in the background. Thanks Crucial! In all seriousness though, 16GB is probably the minimum now, unless you're willing to close up some programs to free up some memory. Games are starting to use more and more memory as far as I can tell. The storage is pretty straight forward. 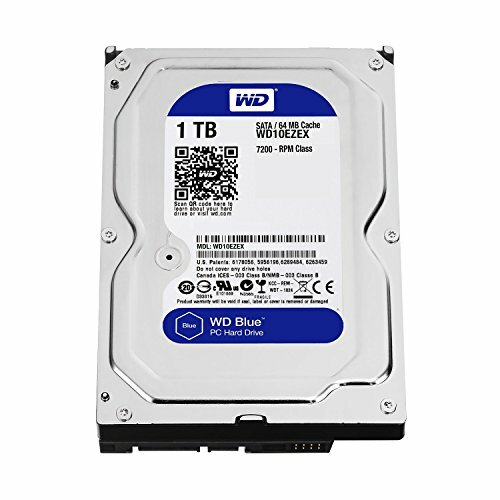 An SSD for the OS and a few programs, and two HDDs for mass storage. 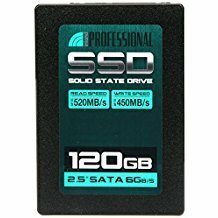 My experience with this SSD has been great. Love the boot up time. As for the HDDs, both have lasted me over 3 years and no sign of breaking down. WD is definitely worth getting. I know people have probably cringed at an MSI Gaming X 1050 Ti, but I managed to pick up this 1080p powerhouse for $160 at Micro Center last year and I'm still very happy with it. I still plan on getting a 1060 or better, since I know it's bottle necking the R5. But it still crushes all the games I play at 1080p high and sometimes even ultra in Killing Floor 2. 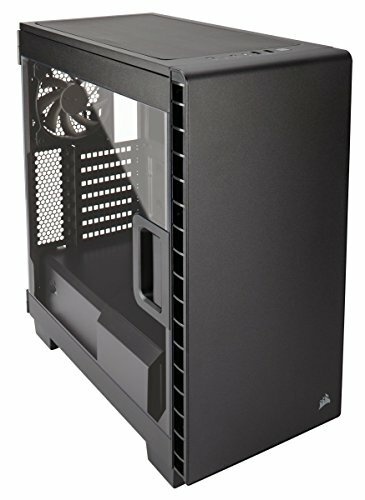 The Carbide 400C is a case I've been wanting for a pretty good while. A much bigger upgrade from the Thermaltake V3 I had before it. Love the cable management in the case, as well as its looks. Hooked up another intake fan onto the front alongside the one that came with the case. It's extremely quite and couldn't be happier. Anyways, that's all I've got to say. Any criticism is appreciated! If you read through all of that, cheers! Jumped from a dual core i3-7100 to this puppy. Super happy with it. Definitely worth the money. Superb for multitasking and gaming. Doesn't break the bank, does what every basic motherboard would do, but with better looks and more features. Includes a good amount of RGB and fan headers, as well as an AIO header. It's memory! It does memory things! These modules aren't RGB like their superior brothers, the Trident Z, but they do what they're supposed to do. And don't empty your wallet simply because of lights. Boots up Windows fast and has everything loaded up for you as soon as you put in your password (if you have one). Good enough for the OS and a few programs. It's a steal at $25 in my opinion. Extremely reliable, quiet, and can store stuff! Would definitely buy again. Not worth the additional $30 (it was a gift to me). It's good for storing things (duh), but it's a lot louder than its Blue counterpart. Might just be me though. This card is great for 1080p gaming. Handles Triple A titles like a champ. Definitely recommend if you're on a budget. Great looking case. Picked it up for $30 at Micro Center so it was a complete steal. Though I wish there were some nice to haves like tempered glass, cause the acrylic panel can get scratched pretty easily, it's still a pretty case and the cable management is excellent. Just be careful when moving it around. Quiet and efficient. Powers up everything in my PC without a problem. I let StreamLabs automatically configure the bit rate to 3800 and I manually upped the resolution to 1080p and the stream FPS to 60. I haven't streamed Killing Floor 2 yet, but considering how incredibly optimized the game is I'm sure it'll do a solid 60 at Ultra while streaming. I have however streamed Fortnite at its lowest settings except with view distance at epic and the resolution at 1080p for gameplay purposes. And there isn't any input lag unlike the i3-7100 I used before the R5. If you're going to stream, the extra headroom is worth the money. Gaming utilizes around 30 to 40 percent of the processor. Sometimes even less. Great build! That montherboard looks nice for b350. I was aiming for that board but budget wouldn’t allow. Hopefully I can get it later. My build has a 1050ti with a ryzen 5 1600. Besides, I can just pick up some RGB strips and hook them up onto the RGB headers on the board. Did you have any issues running that processor with that MOBO? Every time I try to run the two on pcpartpicker it flags it with incompatibility issues. Sorry for the late reply. I had a few issues with the board itself, but after a BIOS update everything seemed to work normally. The reason PCPartPicker flags it as incompatible is because the board is for the 1000 series of Ryzen, but now the board ships out of the factory with the BIOS updated for Ryzen 2000 series. Because you're using a motherboard for an older chipset, some features may not work, but raw performance is still excellent. TL;DR, it works fine with the board. Just make sure the front of the MOBO box says "Ryzen 2000 Series Ready" or something similar. this is a really well balanced and mature build! excellent use of budget.